Oh My Love will celebrate the release of Ghosts & Bubblegum at Wurst Times Festival VI on May 28th. The band plays at 4:15 on the MAMA High Noon Stage. Oh My Love will appear with Ra Ra Riot at King Street Live on Friday, July 29th. Sometimes circumstances can push a group of musicians into new territory. When a lot of bands face obstacles they fold, or splinter and reform as something different. Not so with Oh My Love. The group has their genesis in folk music, particularly singer/songwriter Hannah Luree. Luree hooked up with drummer Christian Lisser as she was about to embark on a solo project. The band quickly grew to a five-piece with Luree and Lisser experimenting in new sounds all along. In the spring of 2014 Oh My Love landed an opening gig with Mates of State. The group lost two of its members shortly before their performance but in a fortuitous turn of events the group carried on as a trio, refining their already morphing sound and performing the gig as a trio with keyboardist David Dickson. Oh My Love released a five-song EP entitled Free Ways in January 2015. In July of 2015 the three-piece version released a single, “Spark,” and an accompanying video. After Dickson left to focus on his Norwei project, Oh My Love carried on as a duo. An upgraded version of “Spark” also appears on Ghosts & Bubblegum, Oh My Love’s first full-length recording. Norwei is credited with contributions on the track as well as three others. One of these, “Bang-Bang,” is a live favorite and also appears on Ghosts & Bubblegum. It’s a haunting cover of a song that Sonny Bono had a hand in writing and was popularized by Nancy Sinatra and then resurfaced in the Kill Bill motion picture. Oh My Love’s version is absolutely haunting and remains a crowd favorite. 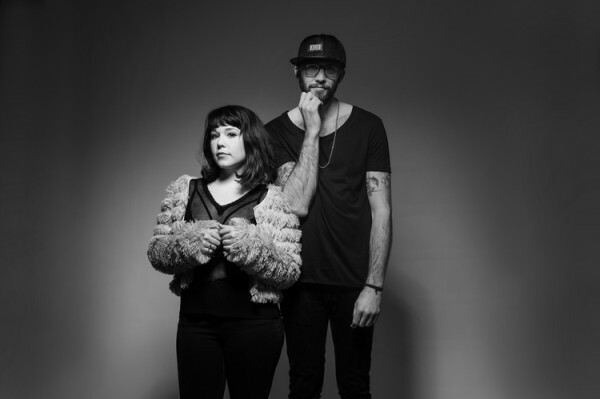 Oh My Love incorporate electro-pop and trip-hop into a very detailed sonic experience. Comparisons have been made to Sylvan Esso but one can also hear a bit less aggressive School of Seven Bells and Portishead. Luree’s crystalline and sensual vocals are the centerpiece of Oh My Love’s sound. The songs are complex, the lyrics dreamy and sophisticated, exploring love, relationships and the human condition, the stuff that is the basis for the band’s name. “Penthouse” is a cool song where the duo open up with a hard hitting chorus. Layers of synths and rhythms along with Luree’s multi-tracked vocals make this a near-perfect slice of electro-pop. “Grips” is mesmerizing, acoustic guitar married to swirling, ghostly synths and multitudes of sound effects. Really cool and inventive. 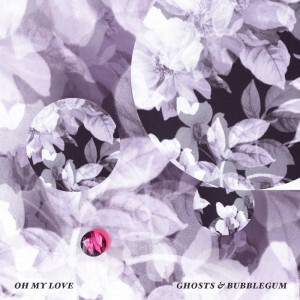 Oh My Love has quickly grown into a Madison favorite and Ghosts & Bubblegum sounds like the band is entirely comfortable in their own skin. Most pop music seems rather short-lived but this is a band you can breathe in and absorb. Everything suggests that there is more great music to come from Oh My Love.